Spain, Thailand and China top the list for event planners, with growing interest in Peru and European destinations, according to Pacific World. The most ‘in-demand’ event destinations for MICE planners in 2019 are Spain, Thailand and China, with lots of interest in Peru and European destinations, according to global destination and event management company Pacific World. "With a network spanning the globe, Pacific World has identified the top destinations this year based on the number of requests we’ve received, and events booked for 2019 and beyond," said Patricia Silvio, global marketing manager of Pacific World. "It’s no coincidence that the destinations that top our list all have strong convention bureaus and a clear destination development strategy, as well as modern infrastructures and convenient access. We are also excited about some of the up-and-comers on the list – like Peru and Monaco – which have made major investments." Pacific World compiled its destination list based on requests and number of events confirmed for 2019. The top worldwide destinations are listed, along with the top EMEA and Asia destinations. Spain continues to generate the most interest worldwide, topping both the worldwide and EMEA lists for the second year in a row. 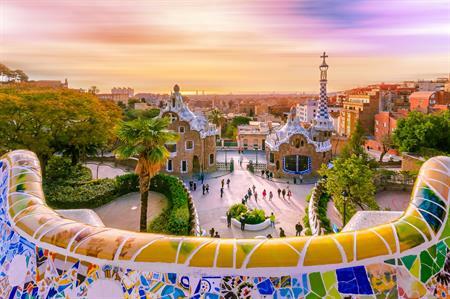 Pacific World said Spain’s popularity is bolstered by very proactive Convention Bureaus and influencers in major cities like Barcelona, Tenerife and Seville. France, UK, Italy, Monaco and the South of France were also in the top of the EMEA list. "Motivated by the upcoming 2024 Olympic Games, the Paris region committed to enhancing the visitor experience, backed by a 23-million euro investment plan which will greatly boost France as both a tourist and MICE destination," Silvio added. "Nearby Monaco has recently completed a major renovation of the Casino Square area, including a restored 5-star Hotel de Paris and the addition of the One Monte Carlo conference centre." Thailand moved up the table to the 2nd position worldwide, boosted by a strong convention bureau and the backing of local and state governments, Pacific World said. "Recent news, like the results of the Global Destination Sustainability Index – which put Bangkok as the number two destination in Asia, will enhance the image of that city and help appeal to a new generation of planners who prioritise environmental and social sustainability when choosing destinations," Silvio said. China, Indonesia and Singapore follow Spain in the worldwide list. China remains a strong player in the MICE market, with its huge growth driving more interest. Where are the most attractive international destinations? Are planners behind the curve on dark tourism?